Ten amazing wines to seek out or covet. When we spoke to the amazing men and women we named as the 2016 Sommeliers of the Year, we asked them to tell us about the wines that made an impact on their lives. Unsurprisingly, they had a lot of bottles to talk about—too many to fit into one piece. But we couldn’t let their amazing picks go unmentioned. Once you’ve read our interviews with F&W's brilliant Sommeliers of the Year, check out these bonus bottles. My parents brewed beer and we made cider, but wine was pretty much limited to the twice a year consumption of Andres or Totts. I remember distinctly when a friend of my parent’s visited and brought a bottle of Fetzer Reserve Merlot. That wine was pretty enlightening; there was more texture and weight and roundness than anything I’d had. While I was at Cornell, I was a teaching assistant for a bunch of wine courses and the 1978 Mondavi Reserve Cabernet Sauvignon was one wine we poured and it was fantastic: complex and starting show that sweet soy, decaying leaf thing, but still with this voluptuousness. That wine for me sparked my passion for old wine, balanced wine and California. When I was at the Texsomm conference in Dallas a couple years ago, there was a Musar retrospective. This was the first vintage that Serge Hochar, Musar’s winemaker who passed away last year, ever made. It really opened the eyes of all the people in that room to what wine with a historic perspective can achieve. Tasting the wine was amazing–very much alive and youthful at 53 years old–but it got better and better as Serge talked about Musar and its history and the history of Lebanese winemaking. This wine allows you to tell a story. I’ll always remember being able to taste Serge’s first vintage with Serge. When I first started buying wine for Animal, one of the more interesting areas for me was the northern Rhône–those Syrahs are so great with Animal's food. I’d had Chave Hermitage, which is so fancy and elegant, but I wanted to really know the region. I bought Faury’s old vine St. Joseph and poured it by the glass–it was too expensive to be pouring by the glass–but it changed my perspective, and my staff’s perspective, on what northern Rhône Syrah is: playful, peppery, bright. In my first buying position, I took appointments with just about every distributor who came through. I was a sponge–it didn’t matter if the wine was going to work for the program, I wanted to learn what it tasted like. This bottle was one where my eyebrows went up, like “what is this! ?” It was so unbelievably intense–it smelled like fresh violets and roses. I ended up opening a bottle when I proposed to my wife Sarah. This family has been making wine since the 1400s! To experience a white with such texture and density and flavor is just mind blowing. Everyone’s talking about alcohol content and whether wines can really be balanced if they’re high in alcohol, but Jean Louis Chave doesn’t worry about that. No matter how high the alcohol, his wines never taste out of whack; they’re so well integrated. Nobody else’s wines taste like that; Chave is an exception. What is Hermitage Blanc supposed to taste like anyway? No one can make their wines as unctuous as he tends to. I sold a bottle of 1958 Giacomo Conterno Barolo Riserva to a regular at a point when I was young and my confidence spoke more loudly than my lack of experience. When I tasted it, this wine took me to a time and place. It smelled of the fall in a cold land: spices, tobacco, dried roses, balsamic, sweet red fruit, and just a bit of grippy tannin holding it together. It was everything an older Barolo should be. I tasted a lot of truly epic and iconic Burgundy while working at Michael Mina. While lots went over my head, one producer stood out: François Raveneau. His were the first white wines that really spoke to me. I remember Tony Cha (the wine director there) scolding me for selling too much of it and explaining to me how little wine is produced. (I had no idea because we probably had 30-40 selections on the list at the time). So when I found a lone bottle of 2004 Raveneau Chablis Montee de Tonnerre in a wine shop, I had to buy it. I had tasted many but had never gotten to drink a bottle by myself. Check out all of the 2016 Sommeliers of the Year. 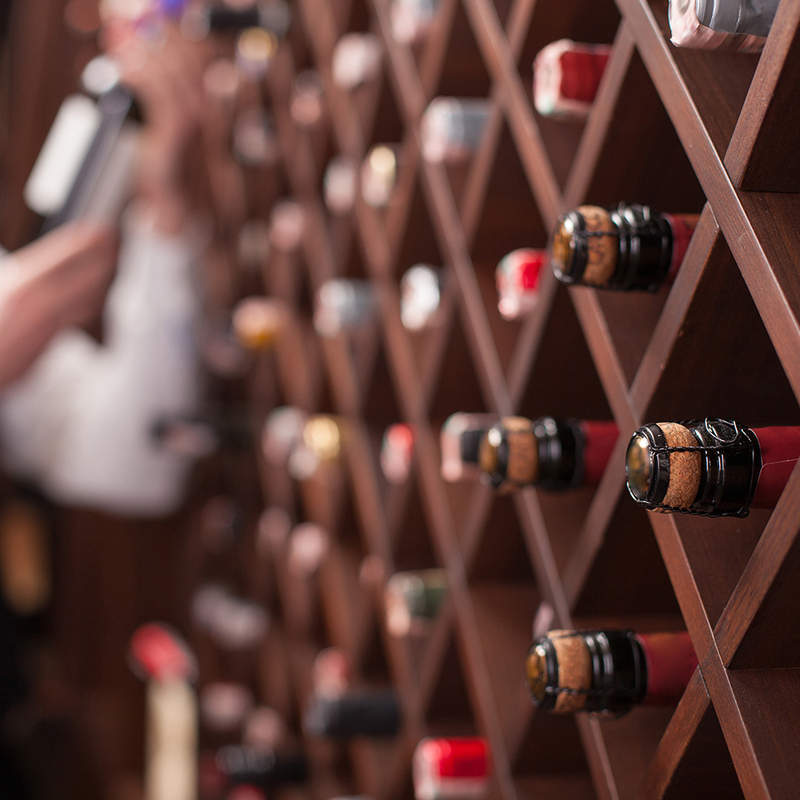 Can a Sommelier Save Your Wine Life?